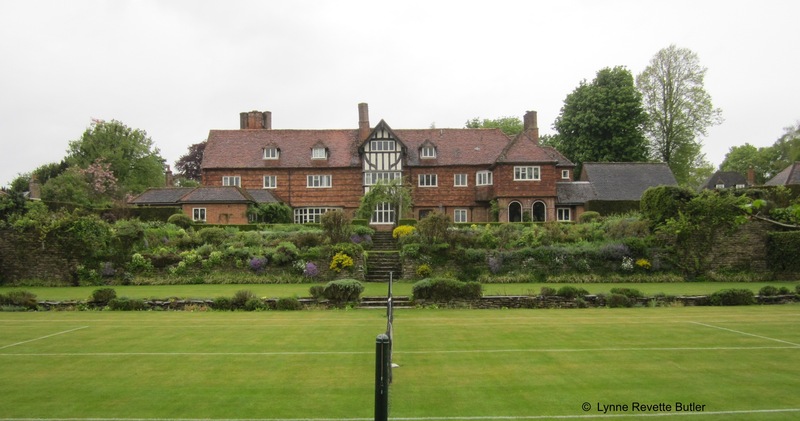 I recently visited the garden of the Manor House at Upton Grey, designed by Gertrude Jekyll in 1908 when she was 65. 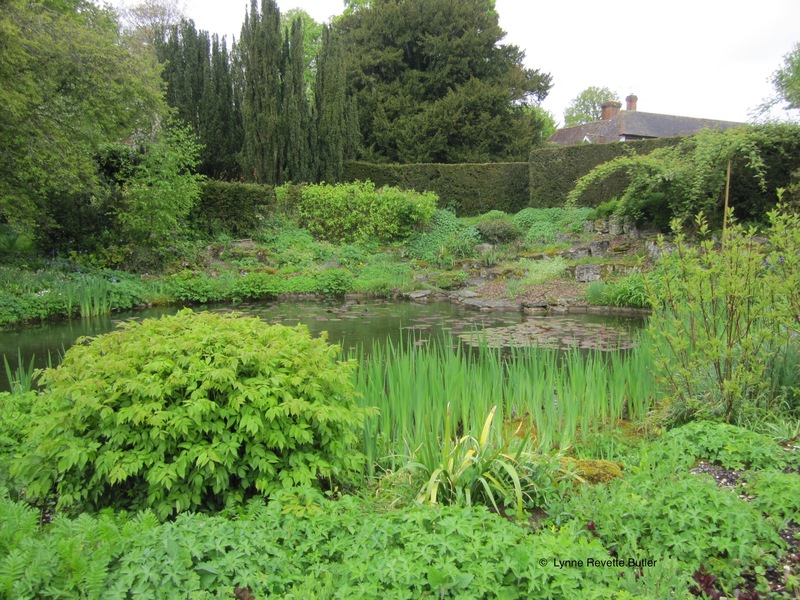 By the time Rosamund and John Wallinger bought the Manor House in 1984 the garden was little more than an unkempt jungle; it is now considered by many to be the most accurate restoration of a Jekyll garden in existence. 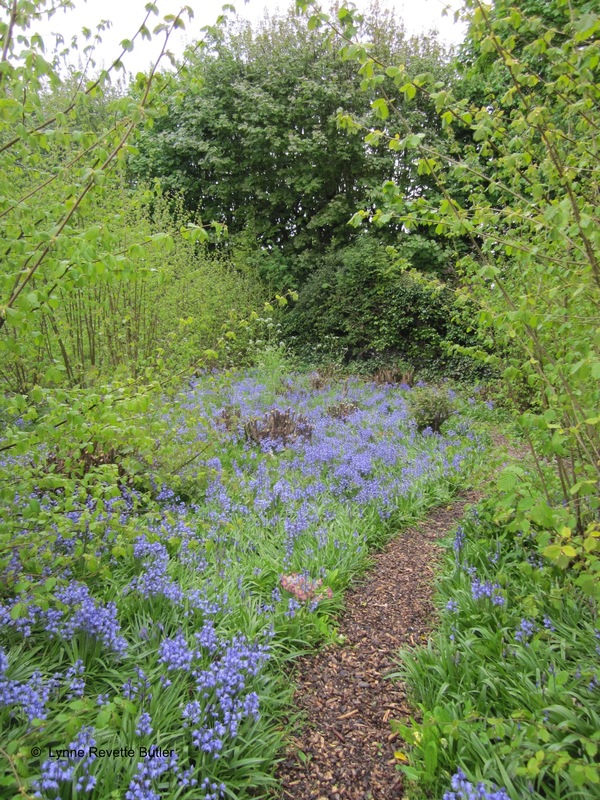 My photographs show the burgeoning green growth of spring; for photographs taken in summer and details about visiting the garden please use this link to the Wallinger’s website http://www.gertrudejekyllgarden.co.uk. 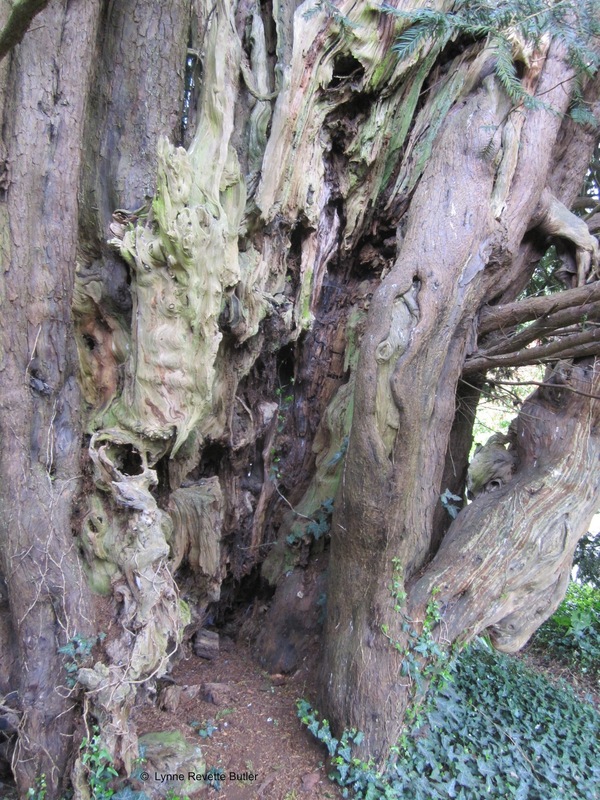 The Yew Tree is thought to be over 2,000 years old; the close-up shows a hollow centre and new outer growths of the trunk as described in my earlier post Y is for Yew Trees. 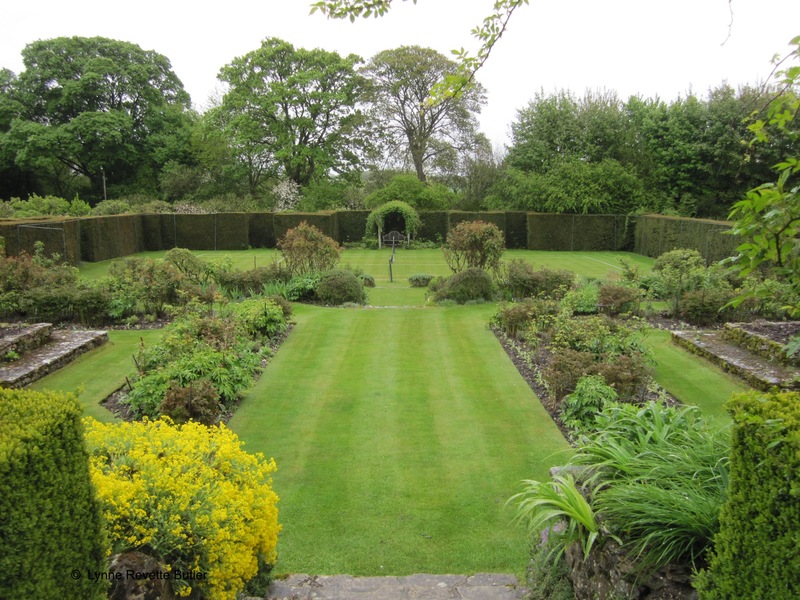 This entry was posted in Gardening and tagged Gertrude Jekyll, Manor House, Rosamund Wallinger, Upton Grey. Bookmark the permalink. What a breathtaking garden! i’d love to see it in person. I’m catching up on A-Z blog comments and came across one from you. Thought I’d drop by and see how things are going now that the frenzy is over. Hi Amanda, thanks for visiting my blog; I remember commenting on your post about clouds during my first week of blogging. 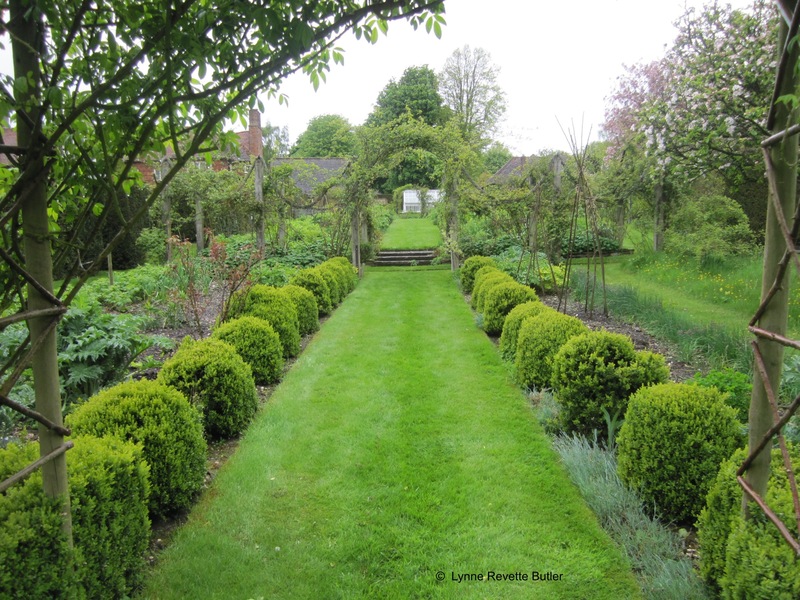 This garden at Upton Grey is inspirational even when there is hardly a flower in bloom and I am hoping to go back later in the year and see it when the roses are at their best. The A to Z really was a challenge for me as I was a complete newbie with no pre-prepared posts but I did enjoy it and I would never have found so many interesting blogs so quickly if I had not taken part. Hi Candy, thanks for visiting my site and leaving a comment. This is a splendid restoration and the owners were very welcoming. I also enjoyed a tasty lunch at the village pub not far from the garden.